Intercomp the world's largest racing test equipment manufacturer has served racers for over 25 years. Check out the Recently Listed Caster Camber Gauges. Check out the Recently Listed Coil Spring Rate Testers. Dunlop Style Caster/Camber Gauge Adapters from PitStopUSA.com are the fastest way to check your front end alignment. Just hold it against the rim for easy, accurate readings. No spindle adapters required here. Pit Stop USA is The Online Motorsports Superstore! 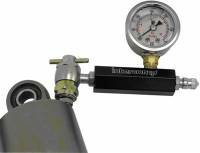 We feature Durometers & Depth Gauges at low everyday prices. Pit Stop USA is The Online Motorsports Superstore! We feature Glow-In-The-Dark Tire Gauges at low everyday prices. Pit Stop USA is The Online Motorsports Superstore! We feature Inflation Systems at low everyday prices. Pit Stop USA is The Online Motorsports Superstore! We feature Infrared Temp Guns at low everyday prices. Pit Stop USA is the Online Motorsports Superstore! We feature Leak Down Testers at low everyday prices! Pit Stop USA is The Online Motorsports Superstore! We feature Leakdown Testers at low everyday prices. Pit Stop USA is The Online Motorsports Superstore! 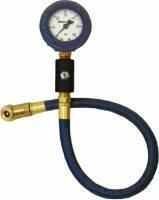 We feature Liquid Filled Tire Gauges at low everyday prices. Check out the Recently Listed Nitrogen Dryer. Pit Stop USA is The Online Motorsports Superstore! 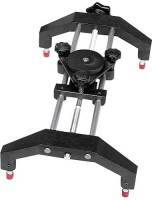 We feature Pad Levelers & Roll-Offs at low everyday prices. Pit Stop USA is The Online Motorsports Superstore! We feature Pyrometer Parts & Accessories at low everyday prices. 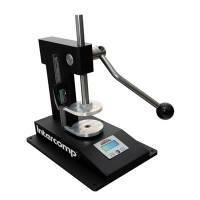 Intercomp Bump Stop Tester Adapter - .625"
Pit Stop USA is The Online Motorsports Superstore! Intercomp is the world's largest manufacturer of high performance test equipment, and has been serving the racing industry for over 25 years. Intercomp scales provide the data for any racer to become a chassis expert. Intercomp scale pads are manufactured from Billet Aluminum. Intercomp SW888 Wireless ProScale System wireless technology interfaces with Intercomp's Race Car Management Software! Intercomp SW777 Professional Scale System displays to 1/100th of a percent, stores 100 setups, baseline setup recall, center of gravity calculation, selectable display modes, target tune feature and serial output. Intercomp SW650R1 Quik Weigh Scale System displays to 1/100th of a percent, stores 100 setups, has baseline setup recall, center of gravity calculation and selectable display modes. Intercomp SW500 E-Z Weigh Scale System has the best features in class with custom displays for total of all tires together and individually, percentage, dirt track, & total weight. Intercomp Hub-Mounted Corner Weight Scale makes it possible to change springs at the track without affecting the corner weights or percentages! 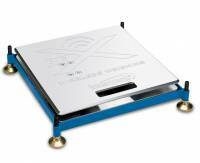 We have Intercomp Scale Pad Levelers and Intercomp Scale Carts too! Intercomp Fixed Speed Shock Dynamometer, Intercomp Digital Shock Inflation & Pressure Gauge, Intercomp Bubble Caster Camber Gauge, Intercomp Digital Travel Bump Steer Gauge, Intercomp Digital Turn Plates, Intercomp Digital Coil Spring Testers and Intercomp Digital Caster Camber Gauge provide superior setups! Intercomp Deluxe Pyrometer, Intercomp Memory Tire/Brake Pyrometer System, Intercomp Memory Tire Pressure Gauge, Intercomp Digital Air Pressure Gauge, Intercomp Infrared Laser Temperature Gun, and Intercomp Deluxe Air Pressure Gauges are the choice of professionals in all types of motorsports. 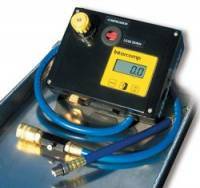 Intercomp Lap Timer System is the industry's easiest to use and most compact. 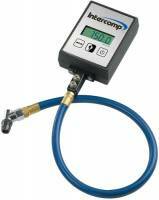 Intercomp Valve Spring Tester features high accuracy & repeatability.